Kansas Sit-In Gets Its Due at Last Almost 50 years ago in Wichita, Kan., Ron Walters and Carol Parks-Haun participated in one of the first student-led sit-ins in the nation. But it didn't achieve the national visibility of later lunch-counter protests in the South. 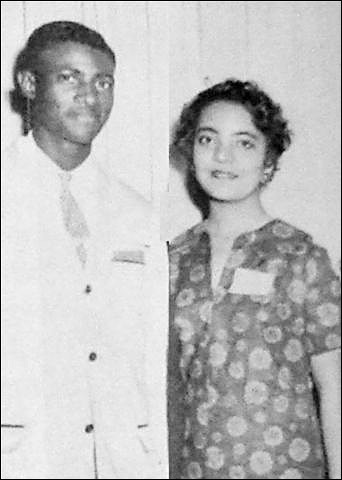 Carol Parks and Ron Walters, pictured in 1958. That year, the two cousins, who were leaders in the local NAACP youth council, participated in a sit-in at Dockum, a popular eatery in Wichita, KS. A sit-in at a Woolworth lunch counter in Greensboro, N.C., in 1960 is often cited as the first civil rights protest of its kind. But almost two years earlier, a student led sit-in occurred in the heart of the Midwest. On Saturday, those who took part in that successful sit-in will be honored in Wichita, Kan., for their role in civil rights history. 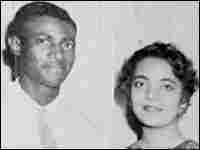 In July of 1958, Carol Parks-Haun, 19, and her cousin Ron Walters, 20, decided to protest restaurants which denied services to blacks in Wichita. At the time both were leaders in the local NAACP Youth Council. 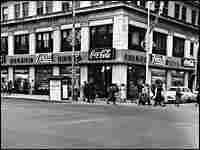 Walters and Parks-Haun organized a sit-in at Dockum Drugstore -- a popular eatery with a soda fountain. Parks-Haun remembers the humiliation of standing at the lunch counter to request a meal. "You'd come in and go to the end of this counter and when you were served anything, it was in disposable containers," she says. "We never knew what it was to just sit there and have a glass and dishes." Ron Walters says 1958 Wichita was very segregated. "It was Mississippi up north. So we tried to break it down and we deliberately chose Dockum because Dockum was part of a chain -- the Rexall Drugstore chain -- and we felt if we could do something there in the heart of town, it might have a consequence," Walters says. Nearly 50 years later in Wichita, Parks-Haun remembers entering Dockum. She sat down on the center stool and ordered a coke, but didn't think the waitress would actually serve her. "She gave it to me and I said, 'oh my,' and the others came in and they sat and she looked at them -- and she looked at me -- and she leaned forward and she said, 'You are not colored are you dear?' And I said, 'Oh yes, I am' and then she pulled away.' She pulled back because the store policy was not to serve colored people," Parks-Haun says. For the next three weeks the polite, well-dressed students would remain quietly seated as they were refused service at the lunch counter. They sometimes sat for hours and their presence was unnerving to patrons. Some patrons taunted and threatened the students. "Sometimes we were not able to fill all those stools up and someone came in, maybe the person was white … and started toward an empty stool. Then they realized what was going on and they backed away," Walters says. Some came in looked at what was happening -- cursed us out because they understood then that we were depriving them of this service." Nearly a month after their sit-in began, the owner relented. "He came to the door and he looked directly to his manager and he said, 'Serve them -- I'm losing too much money,' and then he left. It was that simple!" Parks-Haun says. Wichita historian and author Gretchen Eick says the sit-in really struck a chord. "That set a precedent that really began what would be a very significant strategy -- a strategy that would change the way business was done in the United States," Eick says. The Dockum Drugstore sit-in failed to achieve national visibility in large part because the local newspaper didn’t want to scare away advertisers. In addition, the NAACP did not sanction sit-ins at the time. A year and a half later, sit-ins would erupt across the South and attract substantial media attention.